Dear Readers, today we bring you a most astounding message. This material was given to me Saturday evening, April 23, 2005. It was such that I could not look at it on Sunday; I needed a day to let it settle in. It is not that I was unaware, I am not, I knew it was coming. But it is still so wonderful, what is coming. I had to leave frequently during the channeling to go walk, and cry in joy, it is all happening, the time is now, it is so real. The first part covers some difficult material that seems to have set back the messages of late. But hang in there and keep reading. Hatonn speaks first. Hatonn: To My Dear Light workers every where on Planet Earth, I am Gyeorgos Ceres Hatonn, Commander in Chief, Earth Project Transition, Pleiadian Sector Flight Command, Intergalactic Federation Fleet Ashtar Command. I have a most important message for this day. Now first, NESARA will be announced just as soon as it all flows together, and it is flowing, my friends. We had a minor problem today, with an aircraft making an attempt at an uncloaked shuttle. (April 23) This is not a reason for delay. I am just saying that our BBB&G's (Big, Bad, Boys and Girls) are still trying to interfere. We have more uncloaked vehicles out of necessity. We are going to issue a stand down on military craft for a period of time. This will not be announced publicly. We have star people to enforce this issue. The more important issue right now, is the mess with the Tree of the Golden Light. I am very glad, that you Patrick (of FourWinds) drew attention to some problems, even though Candace at the time was not so thrilled with it. Here is what has been found. We placed a star person on the ground to do a little investigating. The purpose of this, is that the supposed Hatonn messages from Nancy Tate are from the higher ups of your government, working behind the scenes to delay and confuse. There is a battle occurring to make you believe that the Second Coming is not a real event, and I assure you that it is a real event. We discussed for a time early in the year whether we would announce it, in this manner, or not. We desired to raise awareness in the light workers, as your help is needed. We also figured, we would create a little chaos in doing so, and gain intelligence from it. This most certainly has happened, and makes the announcement of NESARA a more orderly process. Back to the Tree issue. Nancy, my dear, I have a message for you. I have been trying to contact you telepathically without success. The one mentioned in the A&A reports, as the KOS, is most certainly not a White Knight. However, he is as was told on the site last week, a very high level Delta person. It was mentioned on the site, that this KOS had something to do with reverse engineering of crashed craft, and in the interrogation of ET's. Indeed, there is finally something of truth posted by the A & A's. The truth is KOS was an important member of a team that shot down craft, took the ET's piloting them and some passengers into custody, then tortured them and caused their deaths, after information was obtained of use to these high Delta people. KOS is not a person who just did his job. He is extremely nasty, and has been making use of the A & A's through the Tree website. One of the activities has been to harvest email addresses, and obtain information on light workers, and it wasn't for the purpose, I assure you of aiding the announcement of NESARA. There are other activities going on this man is involved in, and he personally was working very hard at harassing and creating difficulty for light workers. He is part of the plan to bring down NESARA. His group, Nancy my dear, is the one that has created your "Hatonn". These types are associated with other groups, intending to do everything possible to stop not only the NESARA announcement, but of course, Contact and the Second Coming event. Now we did foresee problems, and getting star people, now at least 25,000 on the ground, has been most helpful. We have been able to weed out moles and become more aware of secrets being planned. I would like to remind you that the BBB&G's have star technology also, and it can be most devious and difficult to discover of their plans. This week, I sent letters to a few at the Tree. Nancy, I did not send you one, I hoped to contact you telepathically. You are very much under control of the BBB&G's. When the April 3 Stand Down was announced first at the Tree, we thought somebody on our side had jumped the gun, not understanding of the rules. When you put up the message on April 15, that you were so excited by, that an important announcement would be made by CNN in 10 hours or less, and that people should take into consideration who they had watching TV. Well, my dear, that message was a warning to others to fall into their place and begin the hostage taking process. Had the hostages been killed, it was the plan of these BBB&G's to take over CNN and have a whole lot of fun, their style, as the United States was to be under full martial law, as a result of a serious "terror attack." This was in reality a far worse event than 911, in its impact. There were more hostages that could be taken than the 10 that were. I would like all, who are still in distrust of our abilities, to ponder what it meant to have many famous people, of national and international repute killed in this manner. We knew about most of this plan. This is why we had invisible star guards in place to beam the announcement people out of danger. It was a shock to them, not so much because of the beaming out and that stress. It was a shock because, these are intelligent and very serving people, who were in shock, that this would be tried. This is why they needed rest and recuperation. Their long, long work, in bringing NESARA to you, had seemed lost all of a sudden. It was so close. These have been protected as best we can for so many years, and worked so very hard behind the scenes for NESARA. They have had to play a double role, going about their normal lives, with the role of NESARA planning in the background. These people had to return to their normal lives, after the initial recovery and pretend as if nothing had happened. Could we have prevented the attempt? No, as there are many layers upon layers involved. By providing the protection, just in case, we prevented a more dire consequence. As a result, we have now dismantled many layers. We have removed many players. Many of you expect that all will be hunky dory after NESARA. This is not totally true. There will be more BBB&G's coming out of the woodwork. Many are programmed clones, and in your message Nancy, you are turning on the programs to the clones, who operate without thinking whatsoever. We have solved many problems as a result of the kidnapping, and further relieved difficulties that will occur immediately after the announcement. The announcement will cause more clones to come forward, so they can be removed also. There will be some turmoil, period. This will settle down over the days. The presence of the star people will be announced as tactfully as possible near the end of the initial teachings. We must get our presence out to the people of the world, quickly. We do not intend setting back the Second Coming date. It will be prior to June 30. If there is seen a delay, we will notify you about it. Contact events are quite required prior to the Second Coming event, as the event, is a world wide contact event. You will not fail to notice it. It will not be on a TV event, as there are many who do not have TV's. There are indigenous cultures still without TV, and in war torn countries such as those in Africa, there is little TV. Nancy, this is not to scold you publicly. You move around a bit, and we haven't been able to get a message hand delivered. But I need to tell the world what is going on, in order to stop the Hatonn confusion issues. I want all of you to be in sympathy for Nancy; her free will was violated in this issue. She knew not what she was doing, because she did not know. I am now going to make a statement, concerning the messengers. We have said there are many messengers, and this is true. However, because of confusion, I am announcing right now, that from now on out, Sananda and myself will be using Candace entirely for any messages from our selves. We are asking others to respect this, and not be part of anymore pretend Hatonn's and Sananda's. Germain will continue to use the messengers of his choice as well as other Masters with channels working for them. As of this day, right now, (April 23) any messages not from Candace, using our names in any manner are not the true messages. Now, I will warn you, there will be plenty of fake messages out, just as we have been seeing the last few weeks since the Stand Down order. Candace was chosen purposely by us for this mission, she is of very high light and integrity. She is a most important part of the announcement plan for the Second Coming Event. There is no other messenger of this nature, in the process. Do you not remember, that there was one John the Baptist, that preceded the First Coming? Candace is that person, at this time. No, she is not the re incarnation of John the Baptist, no relation at all in that area. She is simply a person from the stars, doing the task. Yes, from the stars. She is Pleiadian, from a planet called Myrua, of the star Merope, first star next to Alcyone, the central star which Earth also revolves around. This is her 6th incarnation on this Earth. And no, she did not have of the planning of this event in her "life plan" before incarnation. She is what is sometimes called a free spirit, advanced in growth, and not needing of the experience of karma on this planet. She designs her own incarnations, and has chosen well in them. She made her choices, having incarnations in a variety of cultures and religions on Earth, to learn about how religion is used to control. Religion as practiced on Earth, is not practiced on other worlds. Each knows their journey belongs to them, they are sovereign. These worlds do have schools of learning about the Universe, but people do not sit in a church giving of 10% of their income to a business venture. Her mission, she designed a few years ago, and has been planning and perfecting her ideas since. She was particularly motivated by the 911 disaster, knowing that the game of religion was being used to incite war. She sent a personal message, one night, straight to Christ Michael of Nebadon. In her petition, she told that many messiahs were needed for planet Earth, so great were the problems. Knowing that male power is dominant here, she offered her services as a "granny messiah", thinking quite rightly the world needed more female power. Now, I am going to say something here, I have said ye are all the messengers, well, my friends ye are all messiahs too. This is the message we have been trying to get across. Many of you want us to determine your mission. A messiah type person looks around, sees what needs to be done, and designs a plan. We want creators and designers here, lots and lots of them. We need messiahs. The Second Coming event is Messianic! We need little messiahs and great messiahs. Design what works in your life. Find others who share in your vision. Remember: TWO OR MORE IN MY NAME! I need now to discuss a small amount of physics. Mankind believes what his eyes see, until he gains wisdom. You notice, that a magnet sticks to iron, and observe the behavior of magnets, that makes it appear that opposites attract. This is not so, like attracts like. When the magnet seems to attract the iron, what is going on with the opposite charges, is that they are voiding each other. What does this have to do with this paper tonight? I need to explain more about like attracting like. Many are upset with us, thinking that we know not what we are doing, and the BBB&G's are having a lot of fun, at what might seem to our expense lately. We have been called the galactic street gang lords, of the Federation of Duality for example. Many of you, in observing the sad conditions of the world right now, think that we should simply drop out of the sky, round up the dark side and usher them on out. How much we would like this, except it doesn't work because of the law of attraction, which is universal, and begins at the sub atomic levels. If we come not properly preparing our way, the dark side will have the advantage, as those in the dark, whether by nature of evil, or by not knowing what is going on, will be attracted to the dark. There are those, of course, who do have a clue about what is going on, are disturbed about war and the other problems, that will be attracted to the light. In the middle are many confused souls, lets call them fence sitters. They are comfortable, they have a car or two, a nice job, kids, a house, whatever. They do not plan for chaos in their lives. Should we do the Second Coming event as planned without preparation, many of these in fear will become very susceptible to the dark. As I have pointed out, there will still be some dark folks around, and they will glean the opportunity. Every time, for example there is a major quake with destruction, you get those that prey on the misery of others. We get asked to beam out all the dark folks. Frankly we can't identify them all; some are just a little dark. Some are controlled, and know not what they do. God indeed gives much grace and will be giving much grace over the next few years of changes. We have not been able to bring you the Second Coming prior to this time, even though Sananda and I have been back here since 1954 planning the event and solving problems. This is because there were not enough of you available yet to draw the light towards you. And by light here, I include knowledge and wisdom. The dark is still the greater force on Earth, in the sense of lack of education of her peoples. We are not going to remove people who know not what they do. If we beamed all the dark people out, assuming we could identify them all with great accuracy, we would be removing most of Earth's population. A person, who is messianic in nature, can draw a great amount of light to them. They can convert the dark who are fence sitters, and on occasion even a truly evil person. The Satanic forces of Earth still hold those in organized religion in their hands, and teach that Sananda is the antichrist. They have to have their 7 years of tribulation, while they watch in the sky, and then the real Jesus will come. I think we have had well more than 7 years of tribulation on Earth. But this is the belief. Many of you said, people will wake up, once they realize the benefits, and many will. To some the benefits of NESARA will be money and nothing more. They would then use money for control. This will happen. It will require a huge number of beings of light to attract the light in these uneducated people. You are these light beings, and we are assisting you, and gifting Earth in many beautiful ways. But this is also a time of final reckoning for many, as to whether they ascend with Earth or not. Some will chose otherwise. What will happen, with the star peoples here, and your hard work, is that by the date of the Second Coming, slightly more than 2 months away, at the most, is that the light energy will come close to balancing the dark energy, creating a void, or a balancing of the energy of light and dark. We should not plan on coming until we can make this "voiding" or balance occur. We would like to have the leaning towards the light, but we cannot risk the leaning towards the dark, or they win. Simple as that. It's a Universal law of nature, not a law of rules given. The only reason there would be a short delay in the Second Coming, would be if the leaning were still towards the dark. The date is chosen, but it is a bit flexible, and we could do it earlier, if the void that is needed should happen. Do not confuse this with other teachings of void that you are reading lately. Also ignore the teachings of late that say, we most look in to the future to find the timing of the voidance. We look not into the future in this game we play, we are very much in the now. Now I will discuss the last issue at hand for myself, and then I give it over to Sananda. We have had some questions, regards who is ATON as Creator God, who am I as Hatonn, and how to compare or describe Creator God, knowing that a Creator Son of God named Christ Michael is at the helm of this Universe of Nebadon. Well, my people of Nebadon, in a recent message, where I describe myself a bit, I made the statement "When I say I am ATON in my higher self, I am ATON indeed." I hoped to see a few questions, and we got some. ATON is called Creator God, by some. Christ Michael is certainly Creator God of the Universe of Nebadon. Please put two and two together, my children, ATON and Christ Michael are one and the same. I said I was a Descending Son in that message, and so I AM. My creation was in the Central Universe of Havona. I AM the Father God of the Universe of Nebadon. I am not a fragment of Michael, I AM Michael. I AM the Christ. You have read in our messages, that Sananda's visit to Earth 2000 years ago, was a joint incarnation of Christ Michael, and Esu Immanuel. You, through your church teachings, who have had this learning, believe in the return of the actual Christ, and SO IT IS. I am in command of Earth Project Transition, because it is my project, as Master Creator Son of Nebadon. Those of you reading Urantia have understood that someday, Michael would personally return to Earth, and IT IS SO. I command the Pleiadian Sector Flight Command at this time. I told you in that earlier message, I am a large Grey, using a body designed by Universal scientists and THIS IS SO. It is a body type that allows me to walk the Earth. I chose to use the long loved name of ATON on Earth, for this mission. I needed a bit of a disguise, for a period of time. Now that the Second Coming event is so close, it is time to come out of disguise. You have on Earth both returning Sons of God, the Descending Son (Son of God, Christ Michael) and the Ascending Son. (Son of Man, Sananda) BLESSED ARE YOU. This is why the Second Coming event will be sacred and not a war type event. You were blessed with my appearance 2000 years ago, and now you are twice blessed with my promised return. I have visited no other planet in my vast realm, in this manner. I AM COME, TO REMOVE THE ADVERSARY OF MY DOMAIN, AND IT SHALL BE DONE. EARTH SHALL BE HEALED AND OF THE LIGHTED REALMS ONCE AGAIN. I AM CHRIST MICHAEL OF NEBADON, AND I PERSONALLY LOVE THIS LITTLE PLANET AND HER PEOPLE AND I WILL HOLD ALL OF YOU AGAIN IN MY ARMS. I TAKE THIS OPPORTUNITY TO THANK ALL OF YOU FROM THE STARS FOR YOUR TIME SPENT AND YET TO BE SPENT WITH EARTH AS SHE GROWS UP. I THANK ALL THE EARTH SOULS, FOR PREPARING MY WAY. YOU HAVE BEEN SOME OF YOU HERE FOR THOUSANDS OF YEARS, WORKING THE PLANET FROM THE INSIDE, TO PREPARE MY WAY. I THANK THE COUNTLESS CHRISTED BEINGS WHO HAVE PREPARED MY WAY. I STAND IN AWE OF YOU ALL. WE WILL SHORTLY WALK TOGETHER, JOIN HANDS TOGETHER, AND HEAL THIS WORLD TOGETHER. I WILL BE HERE AS LONG AS IT IS NECESSARY TO BE HERE. NO OTHER PLANET HAS WALKED PERSONALLY WITH CHRIST MICHAEL AS YOU SHALL DO. GO IN GREAT PEACE, MY DEAR ONES. I AM CHRIST MICHAEL, AKA GYEORGOS CERES HATONN. 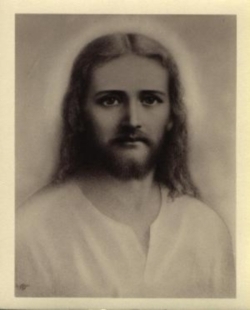 Sananda: I AM Sananda Immanuel, who comes to Earth, returning with Christ Michael. It is time for you to fully understand who we all are. It is time to fully understand the fullness of this mission. It is time to understand that you are all come, as messiahs, in service to Christ Michael. It is time you better understood my role in all of this. Long ago, this was planned for Earth. It was thought appropriate to have Christ Michael, come together with an Ascending Son in the missions, and so I was chosen for this. You have read that I am a Kumara, and THIS IS SO. My real father, that birthed me into the Universe long ago in Lyra, is non other than Sanat Kumara, the Ancient of Days as recorded in your Bible. I agreed long ago, to have many incarnations into Earth to help begin the process of lifting her up. You read at the Phoenix Journals that Gabriel was my father at that time 2000 years and This Is True. Understand the nature of the DNA required to bring a Creator Son into a physical incarnation, in the likes of the planetary peoples. I come to serve Earth at this time, in the complete fulfillment of my mission here. I, with the Second Coming event, become what is called a "Planetary Prince" in our Universe. I will be the representative of the Universal headquarters on Earth. Earth had another Planetary Prince at one time, who fell into the Lucifer Rebellion, and was removed during the First Coming. That is the story behind the temptation of Christ, the meeting with Lucifer, and Caligastia the Planetary Prince at that time, who encouraged myself, and Christ Michael to join with them. That did not happen. Christ Michael has been since that time, acting Planetary Prince. It has been known all this time, that I would carry this job, with the Second Coming event, assuming that Earth was not destroyed by our BBB&G's. We planned for this possibility, so bad had this place become with the World Wars. The story, as told in Christian religion that I go and prepare a place in heaven for you, meant that I went and found a large number of planets, for you to be moved too, in the advent it became necessary to evacuate the planet. You have been placed in "Heaven"; it is the return of Earth to the heavenly realms. I will remain the Planetary Prince, for quite some time, but it will not be a permanent position. In time, when you are united and grown up, you will chose you own Planetary Prince, not by force, but by vote. You will become united; all planets do as they grown up. This is not the same as the New World Order that was to be stuffed down your throats. I know that most of you are quite surprised to learn the identity of Hatonn. Be not put off by this, you have seen him as a loving, but firm commander, who returned me to Earth, in the starship Phoenix. He is loving and he is firm, and he, although he is the God, of this Universe, he desires not to be bowed down to. You have been told that I do not want people hanging at my feet, and THIS IS SO. So is it with Hatonn, and you may continue in this name if comfortable to you. Wasn't this quite a lovely surprise, that this lovely old Hatonn is your Universal Creator God, here in person? Let us join in love all together now, and be who we are, all Sons and Daughters of God. I am a teacher, I am also a warrior, and my first works with the planet, were in war with the adversaries of God. Now I return in peace. The Kumara's are a family group, some related by blood, some by choice. It was considered to throw in the rag, give up on Earth, long ago, in the warring. All of us could have ascended into the Heaven worlds, not having to further incarnate and work in these realms. We chose not to do so, and to instead come to this solar system, and take her back, and WE HAVE DONE SO. In answer to readers, who have written, why can we not just beam up the BBB&G's. This is because these are the end times, and there are BBB&G's who have been coerced, or had implants to change behavior, and know not what they do. We have been removing the really bad ones, in the top. We removed the black pope some time ago, and he has not been replaced. Last summer, we began removing the" hidden hand" as best they could be removed. It is pretty hidden. This is why, there will be some actions after the announcement of NESARA, that may be negative, for a short period, as these left are identified. Most that are called dark, simply really do not know any better, and partake in dark behavior in order to survive. We still do have in custody, dark ones involved in the recent hostage taking, and they have been removed from the White House basement. This situation was too difficult for those working in the White House to keep them there. I will not disclose where they are, but they are not at area 51 as recently stated by others. What is at area 51, are many people recently arrested around the country by your own government. Area 51 is still to be secured, as are some other underground government facilities. The Greys, that will not be allowed to remain on Earth, will be removed from these underground areas; some of this has in fact been done. There are some Greys, who will stay with Earth. We have mentioned before, that some of them truly admire and love humans. You have heard that they do not have an emotional body, as they are androids and this is true. Even without an emotional body, they have great love for you, and as reward for great service given, these are the source of much of your newer technology, they get to stay on Earth also, and begin the ascension journey as Sons of God. These ones knew it was not right to try to steal both better looks and the emotional body. They have been patient, so they have their reward for great compassionate human type behavior. They will in time, begin the ascension journey in a human body, by birthing, as do all souls that choose the human journey. We discussed in the animal message, there is waiting on your Other Side, a great number of animals ready, for some time now, to begin the human journey. The Greys remaining with earth are not of huge number, but they will begin to openly mingle with you, and you will find them most likable. These have been most devoted. And so now, my Brothers and Sisters, let us all come together, in this Second Coming event. You are hereby duly appointed Messiahs. Come join with me in the adventure. Let us not be under bushels, but in the light, shining as many bright stars together. Let us not be meek. The BBB&G's put that one into the Bible. Meek will not work. We are strong, and have great strength in numbers, TWO OR MORE IN MY NAME. Namaste, from the God within me, to the God within you. I AM SANANDA IMMANUEL. A Note to Patrick and Anne Bellringer: Hi Anne and Patrick, it is I, and Hatonn together bringing you a message. My dear friends, we have been so very blessed by your long missions in Earth, to the United States before and at this time, in your efforts at bringing forth this great event, soon to occur on this lovely Planet. We bless you and thank you for the many long years, especially these last few, that seemed like all might be lost. Through your teachings and your worldwide website, you have influenced and brought light to many. Light is truth and knowledge, given and used in love. You will have your most just rewards in Heaven for this service. We Thank You for posting these messages, and the work involved. Your website made this public announcement process of the Second Coming possible, so great is your following. Be in great peace and joy at this time. You have been most fine examples of Messiahs. Namaste, Sananda Immanuel and Gyeorgos Ceres Hatonn, your Creator God. Candace: I sit here at 8:00 PM tonight, having made the final corrections in the messages above. I still sit in a profound state of awe, at the process that is coming into place. All the years, all have awaited, and it is here. I need to offer my personal apologies to the Tree of the Golden Light, and to Nancy, for what has happened. I did not want this, and it is not of my making, but it happened on my watch, in a manner of speaking. I am not a destructive person, and I am in pain over what has happened. Many are in pain. But the lesson learned, I am still unsure of how to express it. We see in the KOS the deceitful games played at control of others, in the shadows, pretending of the light. We will see more games yet to be played these next few weeks, as the dark stand strong. We need to stand stronger. I originally had planned a message, to be called "A Little Chaos is a Good Thing." And it is, it motivates us, it shows us the shadow, it causes us to create a game plan. But it still hurts, when the shadow is exposed. This is been a hard couple of weeks, the seeing the shadow, and seeing how it controls those, who had no intention of being controlled, those in light. I learned a painful lesson on Mother Earth. I learned that I must not be meek, I cannot hide in my hidey-hole anymore. I must stand for my truth, wherever it takes me. The dark side got in control of this Earth, by so deeply punishing those in light, that their backs are broken. There will be many more messages coming from others still, that will continue, I think in greater effort, to try to sway us from our position, by creating doubt, and by changing the story. There were a couple of messages of the past week or so, that say that Sananda was born of a twin birth, a being AHN stating he is Sananda's father in heaven. This one claims to command the Phoenix, and that no Phoenix Journals came from his ship. I propose that this AHN is just another creation of the BBB&G’s. I have worked personally for many months now with Sananda, Hatonn, Germain, Sanat Kumara, and Maitreya. I have talked with Kuthumi, Archangel Michael, and Mohammed. I have spoken several times with Mother Shekhmet. I don't know yet for sure who she is, but I think it will soon be time to bring a message from her also. Mohammed will give a message. He is returning to right the wrongs done to his mission of long ago. The BBB&G’s of the time, while Mohammed was incarnate in one of these downgraded bodies, was taken up to "heaven" as recorded by the Quran. Heaven was a ship, where he was chipped and programmed, and his mission destroyed in essence. So great was this man, that still he somehow got some great teachings across. He never intended the warring done in his name. He loved women, and would liberate the women of his time. He did in some ways. This is a major reason, why one should assess behavior, but never judge the soul, especially on Planet Earth. This is why care is taken, with those seeming to be BBB&G’s, some of them are chipped and controlled and monitored. Many do things they would not do, out of fear. They so often find themselves, in what seems an ideal situation, only to find themselves in one they cannot get themselves out of. I typed a letter for Hatonn to the A &A’s. He is not happy with them, as there is game playing on their part. But he also knows that they are in a situation that is very difficult to get out off, and under control also. I wonder if this is why they gave out more and different information recently, about the KOS. Maybe a call for help? Hatonn offered help, if they will but ask for it. To the A’s, I, Candace say please, take the grace and help from Christ Michael, aka Hatonn. Mike Pitts, webmaster for the Tree is totally innocent, and donates up to 14 hours a day to the Tree. He is a fine and honorable person of integrity. He received a letter also from Hatonn, offering of help and support, and praise for his work. I find it so amazing. We have in our midst, Christ Michael. Clever disguise as this old firm, sometimes grumpy, very loving Hatonn. I think those of you, not quite so sure about the Phoenix Journals, might will see them in a different light. These are quite truly, messages of truth, from God. Maybe God just does know, how to run a Universe. And I think this one called Christ, indeed knows and feels what mankind feels. Sort of been there, done that. Somewhere I read in the Phoenix Journals, Hatonn said he had experienced as a Jew on this world. At the time, I didn't see the message in that statement. Now our Christ, our God, is going to walk on two legs with us, personally, again. Our Sananda is doing the same. So will be Mohammed, and Maitreya, and so many others. Talk about a miracle! There isn't a word in our language to describe how I feel. I think now, those in doubt, might see that NESARA is really going to happen. The Second Coming is really going to happen. And over the next few weeks we will see more and more messages from assorted others, that the Federation will not intervene, are not allowed to. I think, that as Head of Our Universe, Christ can definitely make the choice to intervene. AND SO THAT DECISION HAS BEEN MADE. Added on November 8, 2005, by Candace: To those new to this messages, the CIA and others try constantly to prevent the Second Coming. They often post stuff on New Age type websites, to confuse those that read channelings. They have been a major headache in this long process. They continue, even to this day, to attack the lightworkers in various ways. I have just recovered by a period of attack by them myself. These bad guys have no problem stealing the names of those of God who are here at this time to cause confusion. And the CIA, which even though it will be ended officially with NESARA, will stay in the background and continue to raise confusion amongst people, trying to get people to reject the Second Coming, through clerics, and through a variety of websites and other means. There is a group trying to cause rejection of this Second Coming, because there will be no Rapture, meaning the going to heaven some where else in this process. The Rapture, is the joy, nothing more, nothing less. Some of these groups are trying to say that this is the fake Second Coming, made up of people who are conquering the planet. Our star visitors have in actuality, removed the previous conquerors, the Anunnaki and others. But those teaching the wrong thing, are telling people this is a fake Coming, and we still get 7 years of tribulation followed by the real Second Coming. Sherry Shriner of www.SherryShriner.com is one of these dubious folks. By their fruits you shall know them. So before your judgment of the process, please watch for the fruits of NESARA, and the star peoples labors. You will find no fault in them, You will see extraordinary help being made available, many messiahs in the making, better technology, the cleaning of the air and the pollution, new methods of growing better foods, and a wealth of education, of a spiritual nature. Fine Fruits, to my thinking. LIVE Conference with Ancient of Days #1, Pdf. Today has NOT been a good day has it? Heute ist kein guter Tag gewesen, nicht wahr?